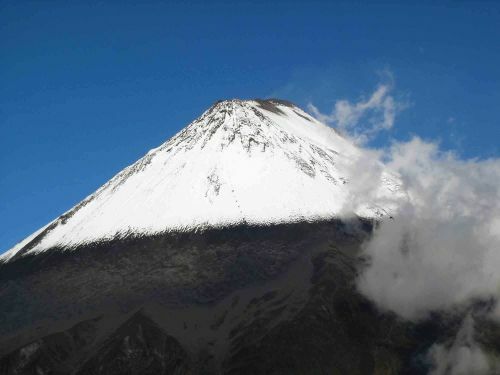 ANDEAN TREKS IN ECUADOR: THE GREAT VOLCANOES OF THE VALLEY OF THE VOLCANOES, INDIAN CULTURES, MONUMENTS, WILDLIFE, BIRDS & FLOWERS. 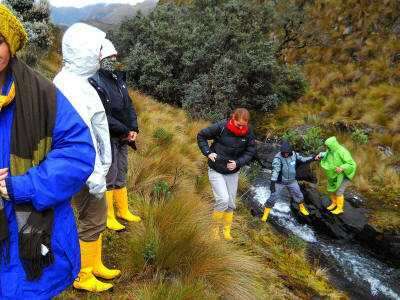 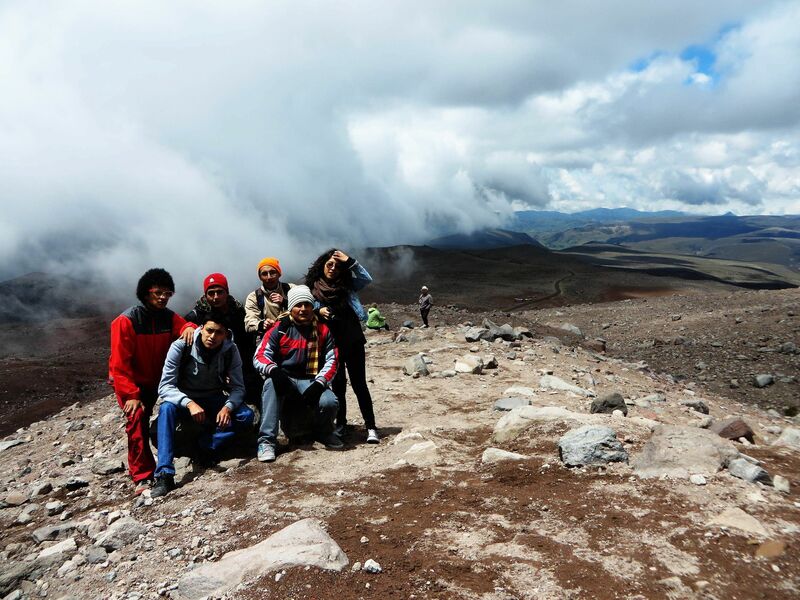 Let us help you to organize splendid tours through the world famous Valley of the Volcanoes. 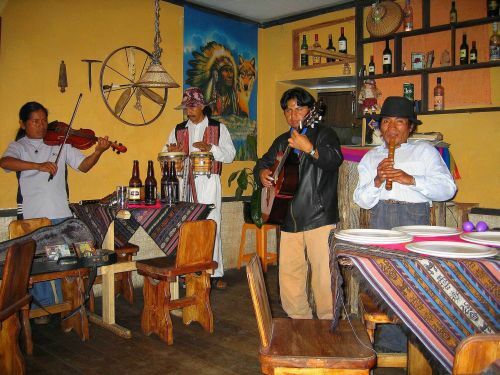 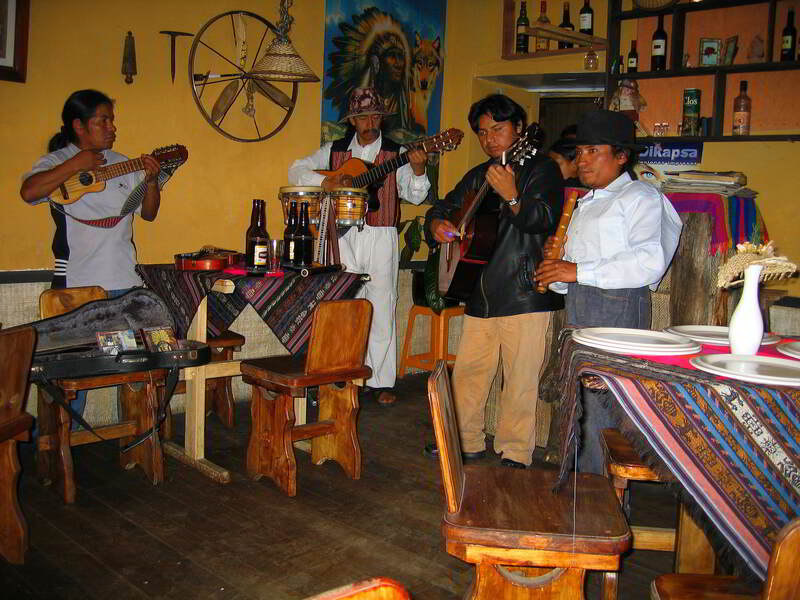 Fabulous Andean music and culture. 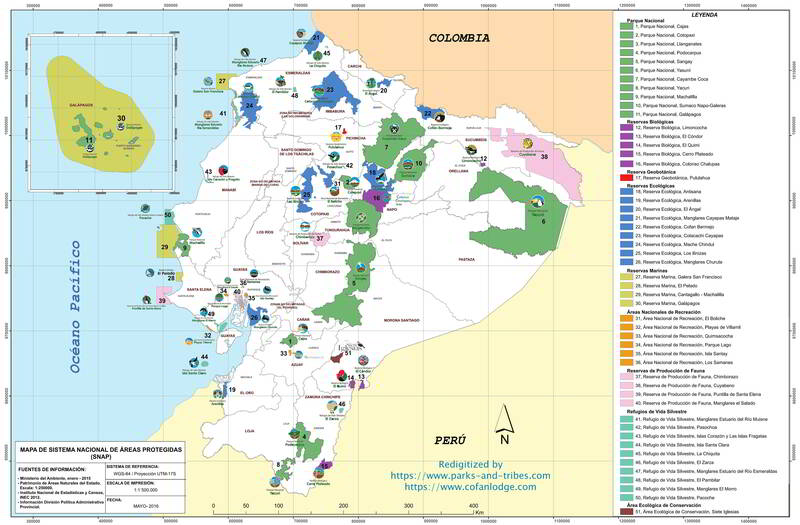 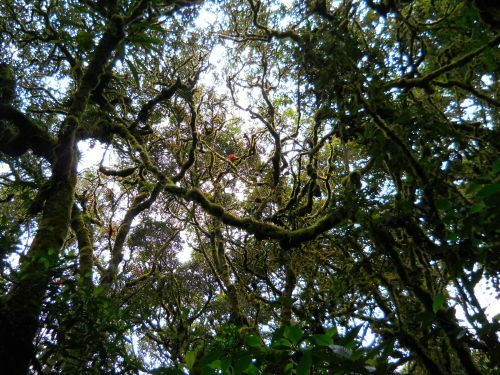 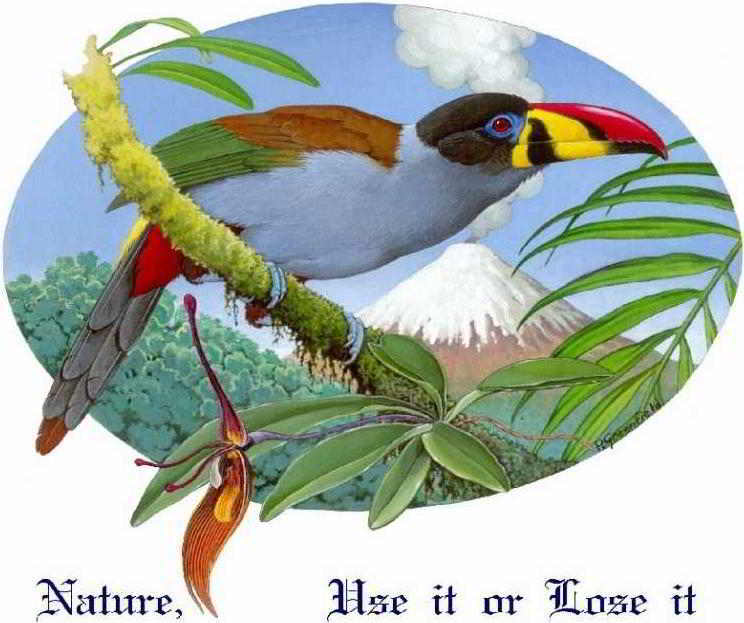 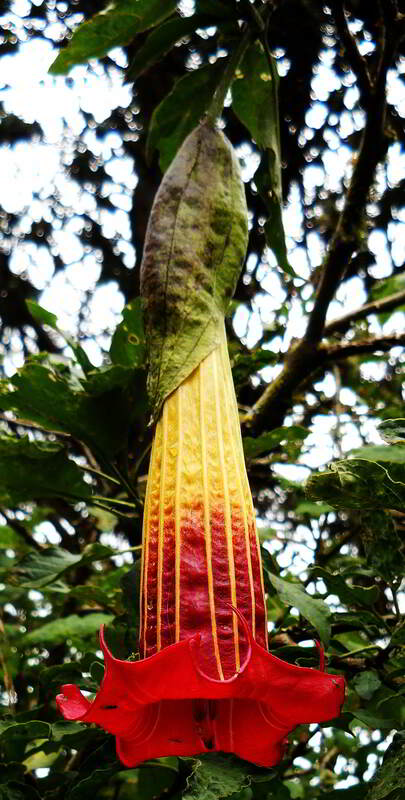 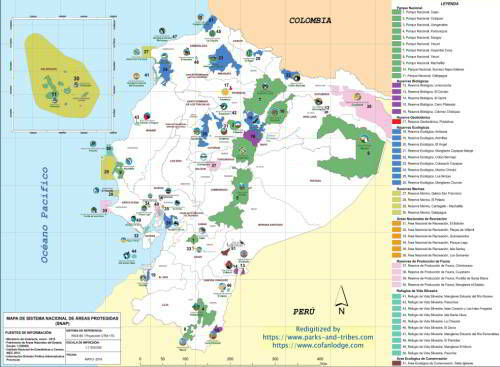 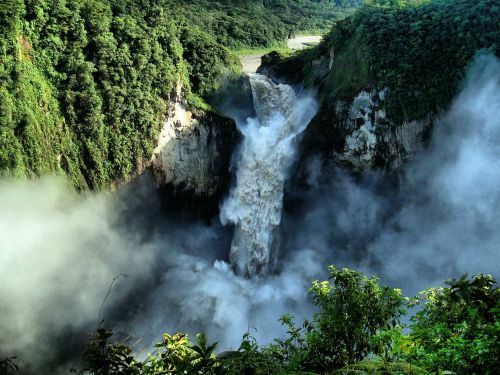 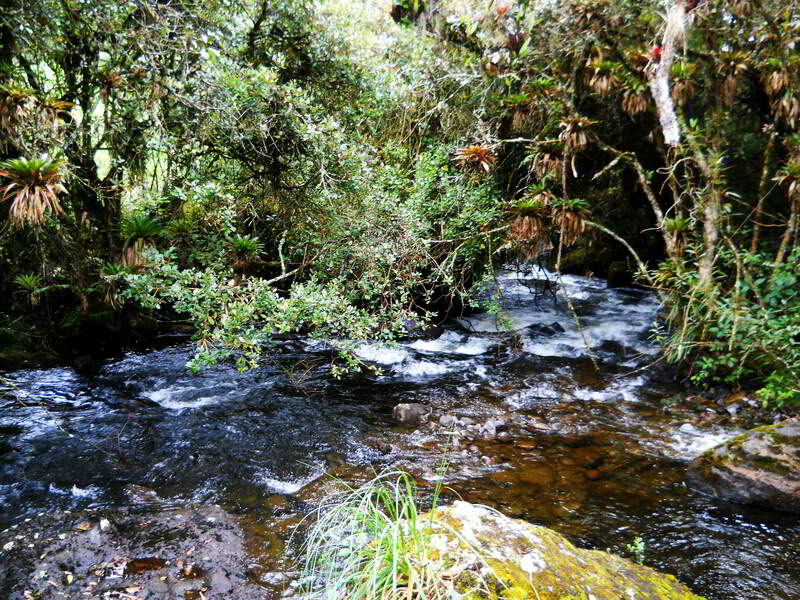 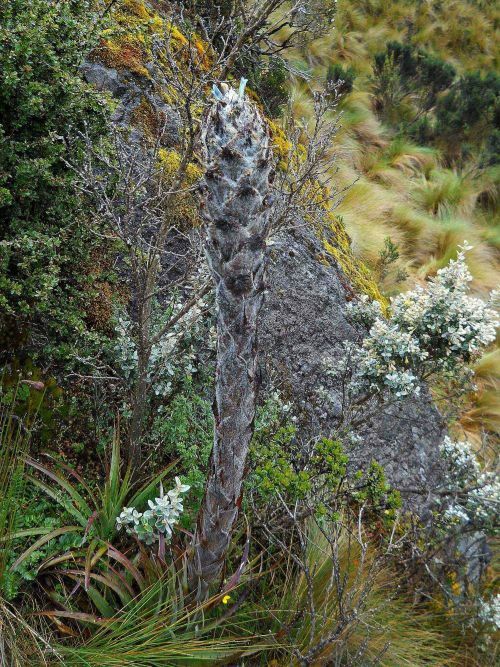 More than 10% of Ecuador is protected an national park or other protected areas. Particularly the Andes parks are suitable for trekking and day visits. For getting to know the paramo, Cajas National Park is a very good choice, although other great parks include, El Angel, Cotopaxi, Chimborazo, Sangay, etc. 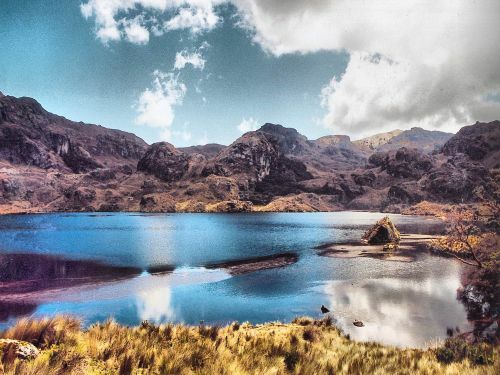 Ecuador Andes Treks & Trekking through the paramos: Enjoying the gorgeous mountain lakes, the gorgeous flowers, the fresh air above 3500 m, a life changing experience. 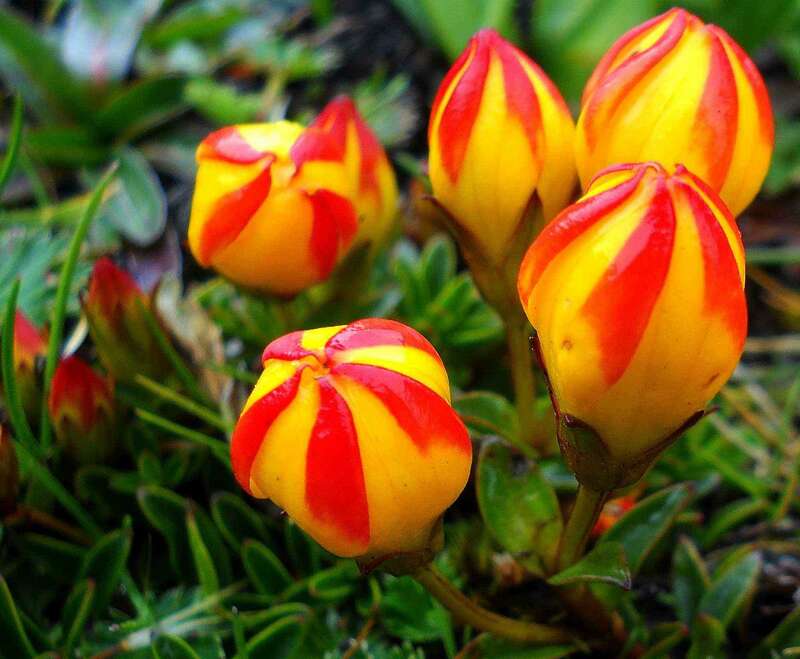 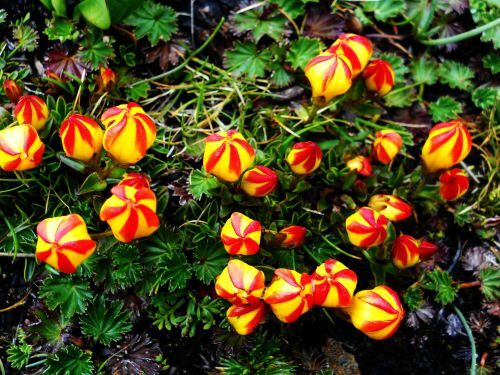 As tiny as they are, the Andes tulips, as the locals call them - in reality they are gentians - are our favorite Andes flower. 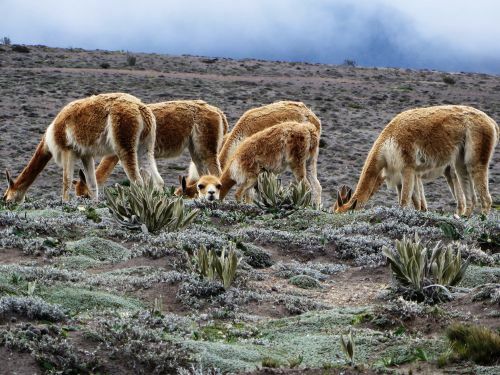 6000+ Vecuñas roam freely at the chiborazo paramo. 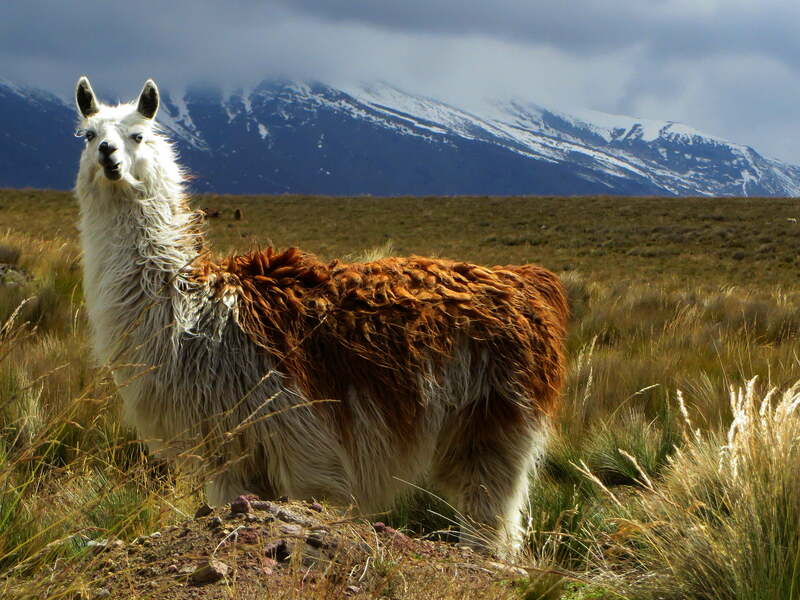 Alpacas in Chimborazo Wildlife Reserve are the domesticated form of the vicuñas. 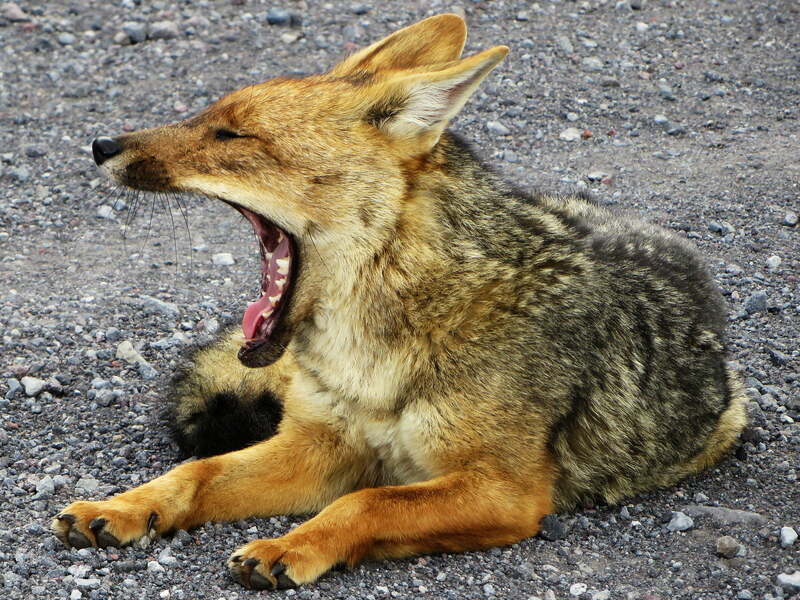 The Andean Fox is Ecuador's largest canine predator. 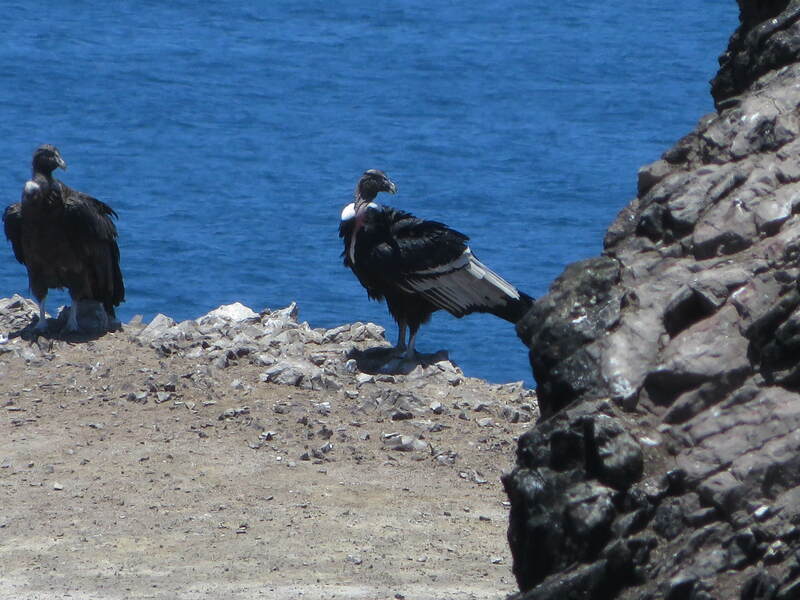 Andean Condors are the largest birds of South America. 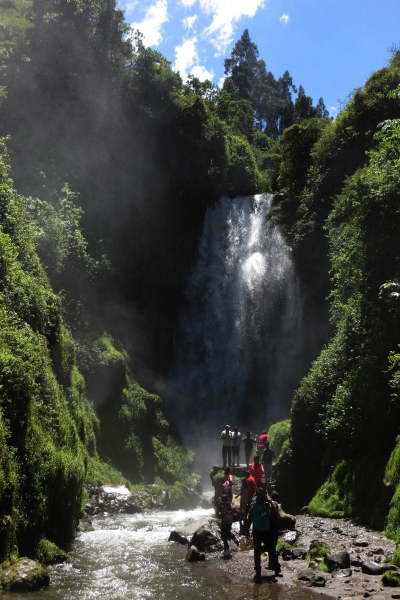 Ecuador is a nation of great quantities of water, with splendid lakes, like Lake San Pablo, and fascinating waterfalls, such as San Rafael and Peguche Waterfalls. 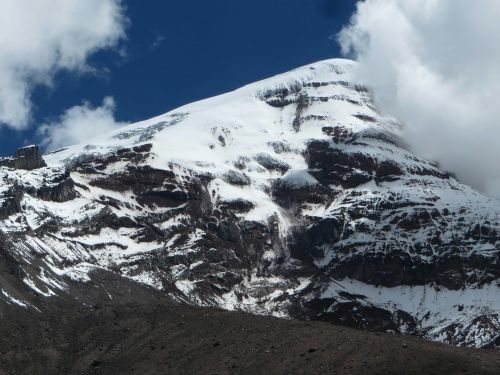 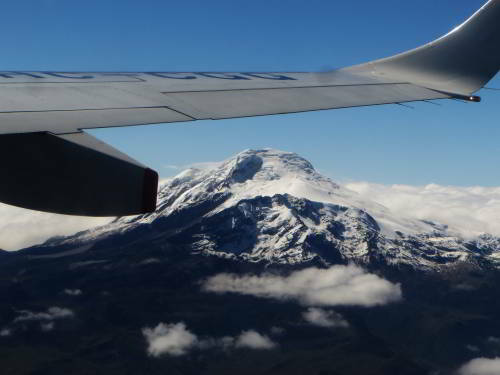 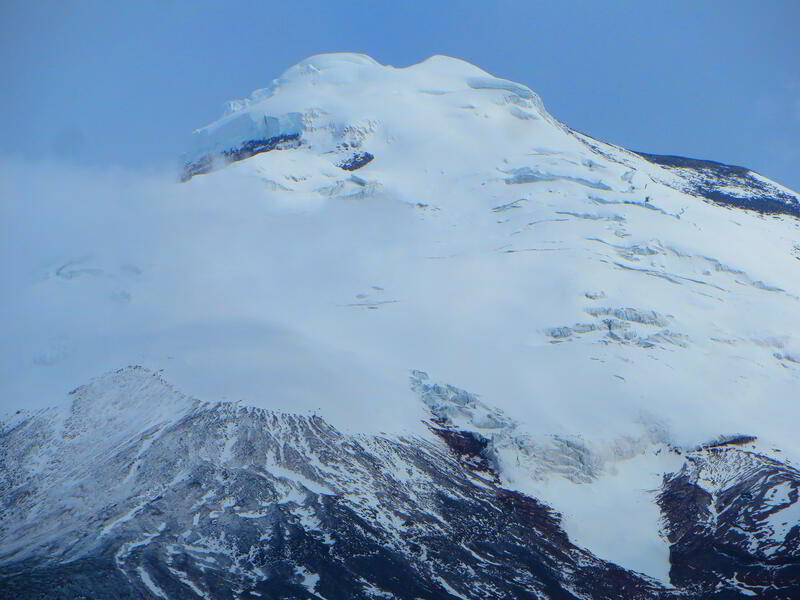 Many of the Snow-capped volcanoes are very active, such as the Cotopaxi, the world's highest active volcano, the 5,230 m high Sangay, the Antisana and the Cayambe, located right on the equator. 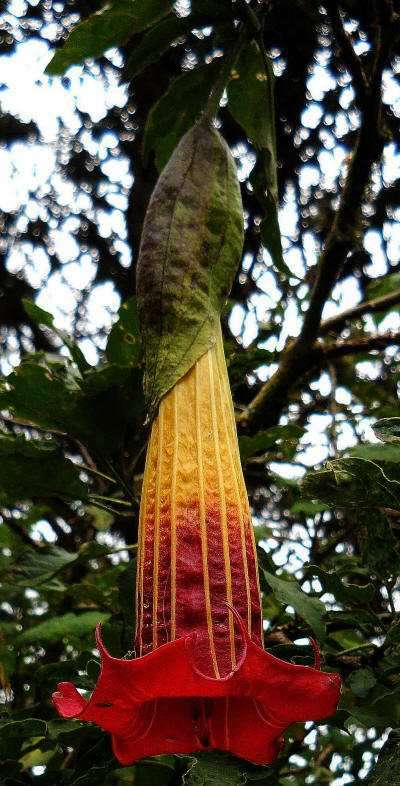 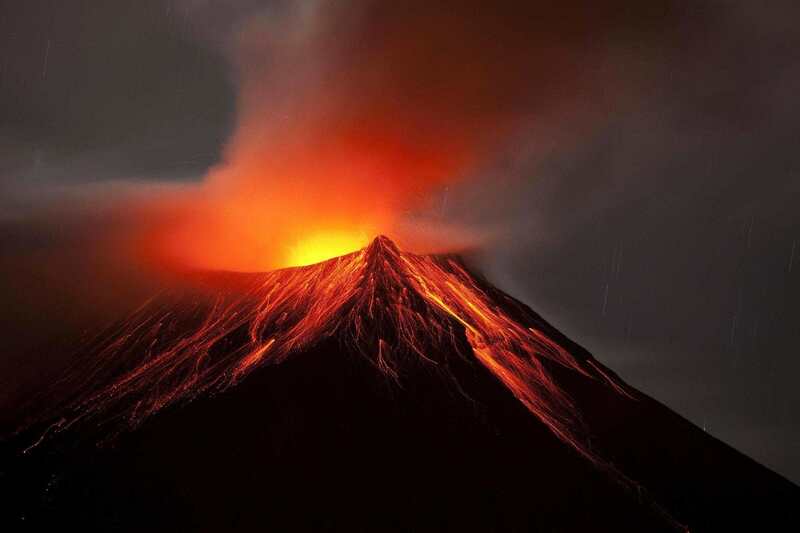 Other extremely active non-snowcapped volcanoes are the Chacana, Guagua, Pichincha, Reventador, Sumaco, and Tungurahua, most of which are located in national parks. 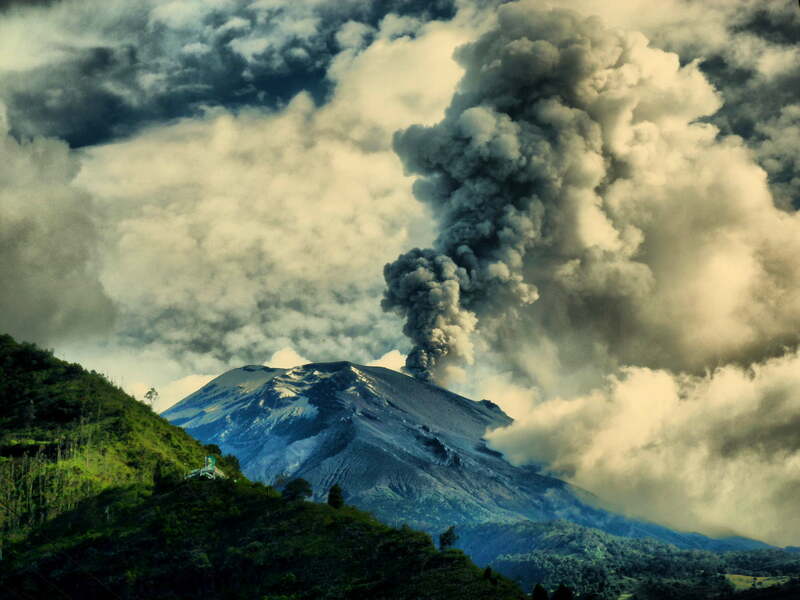 The Tunguragua Volcano is one of the most active volcanoes on continental Ecuador. 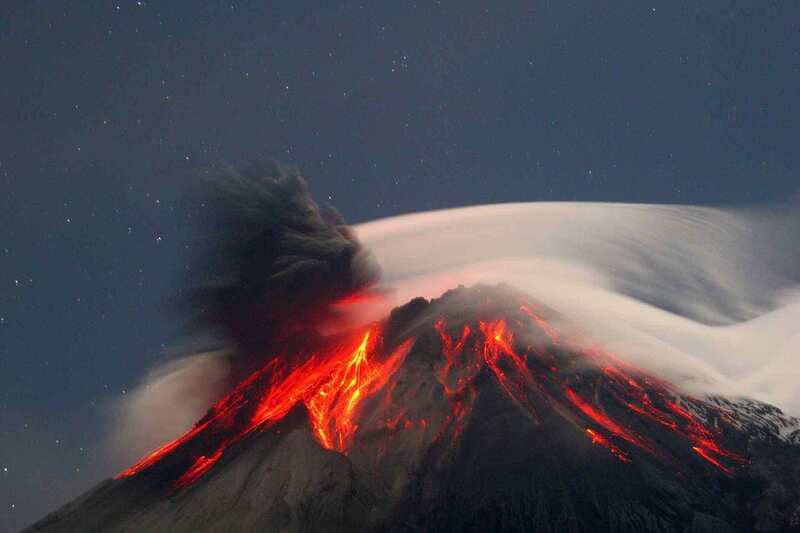 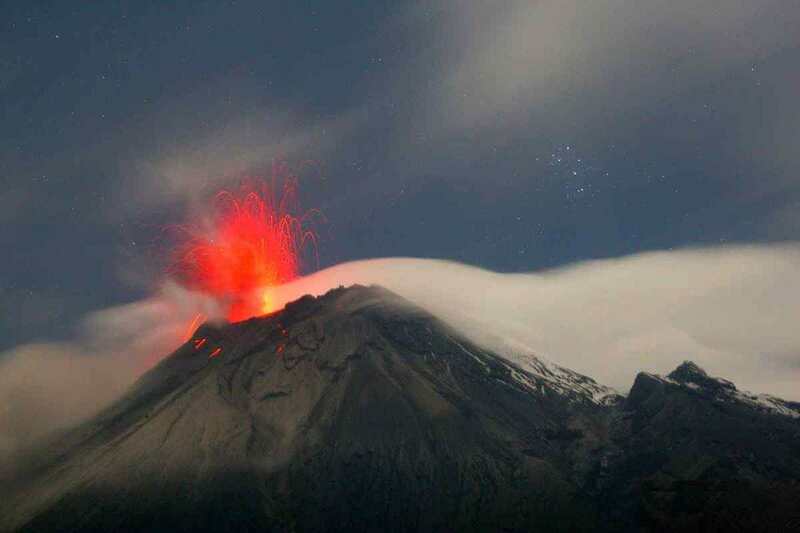 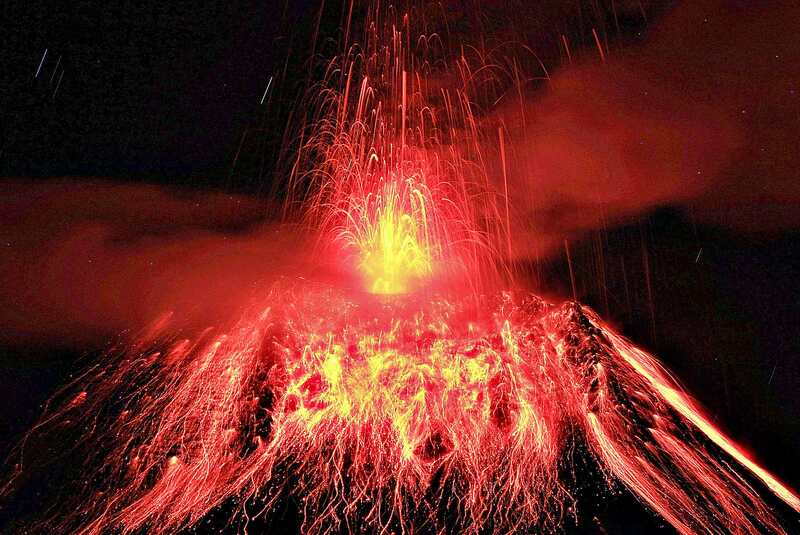 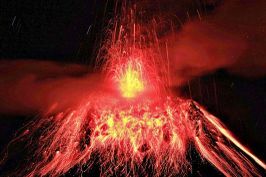 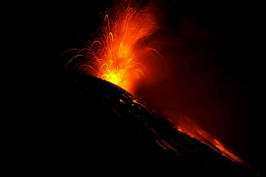 Other extremely active volcanoes include the Reventador and the Sangay. 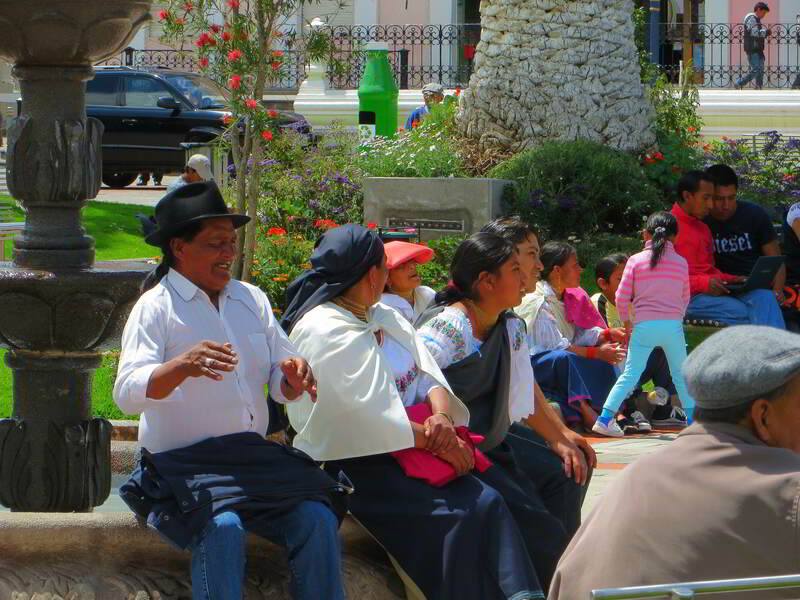 Some people like to make a trip switch backing from one destination in the Central Valley to another, while others like to do their Ecuador Andes Treks & Trekking from a few centers of operation, like Quito, Otavalo and Cuenca. 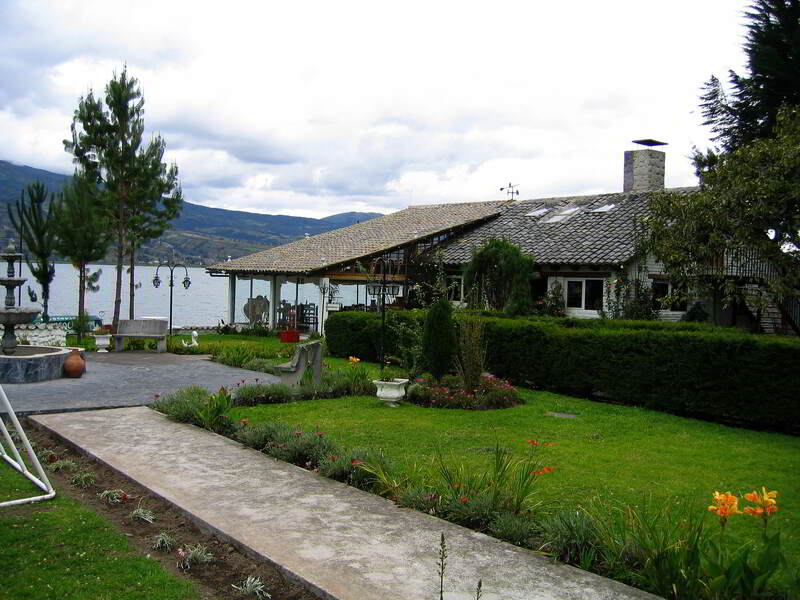 Whatever your prefer, we can help you plan it and arrange the logistics and accommodation. 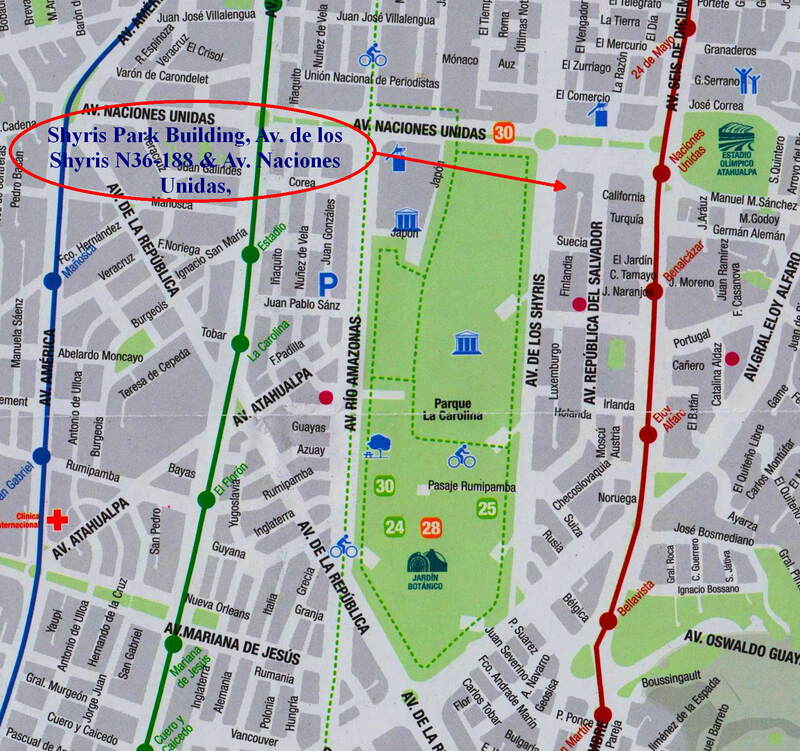 We can even arrange for bicycles if you like. 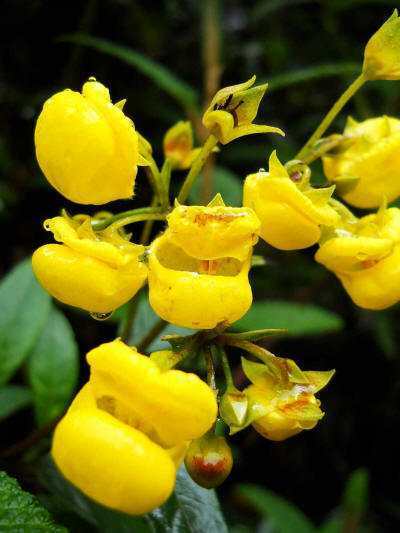 For detailed information on climate and weather conditions in Ecuador, read: climate of Cuenca, Ecuador; climate Galapagos Islands in Ecuador; climate in the Amazon of Ecuador and climate of Ecuador. 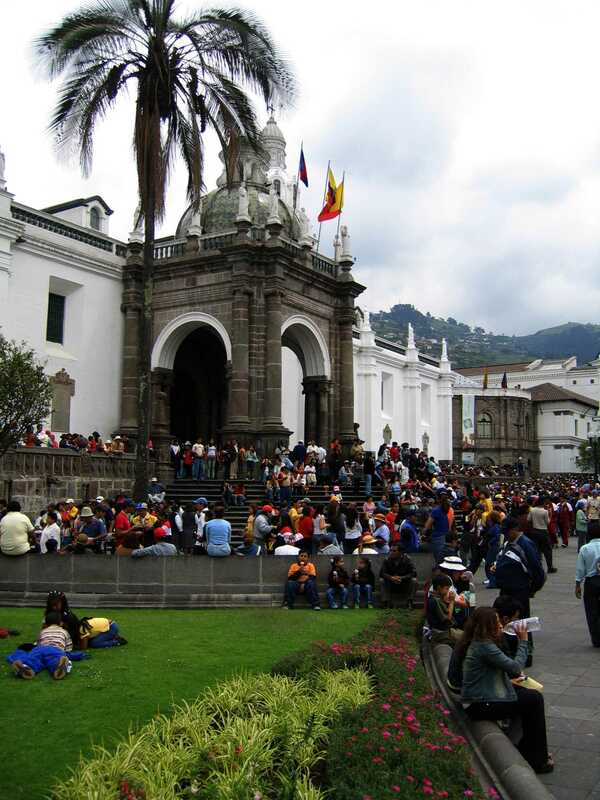 If you want to learn more about the country, read Ecuador Facts.